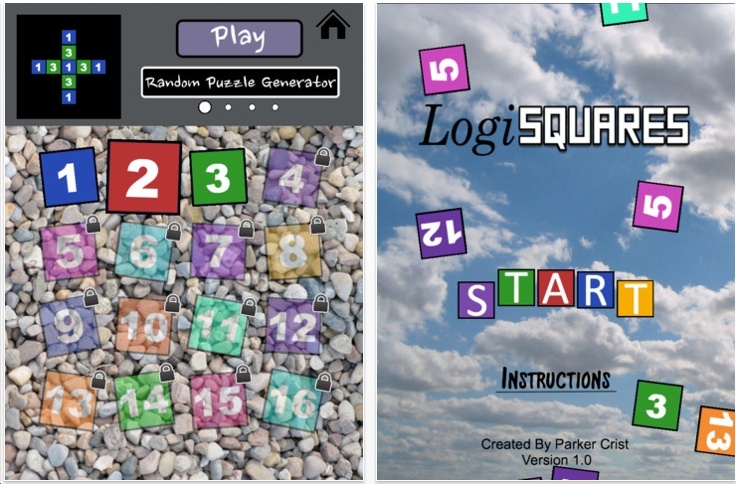 LogiSquares comes from Parker Crist, who contacted me about his new puzzle app game. The object is to match the image in the top left corner. Tap on a white cell and it turns to 1. It will not affect its neighboring cells if they are white. However, if the neighboring cells (horizontal & vertical) are not white, they will increase by 1. Each cell must be tapped once and only once. If a cell reaches 4 and gets increased again by its neighbor, it will go back to 1. There are 64 levels. Right now I've done 1-48. But I skipped 41. I mostly do LogiSquares when I wake up and can't go back to sleep. After 45 minutes on LogiSquares, I'm good. 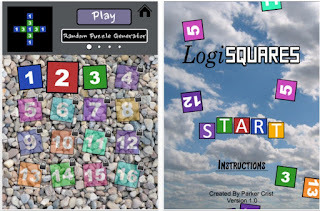 LogiSquares is a very good thinking puzzle with a good number of easy levels to jump right in. I think I'd like to see a pentagonal version of this. 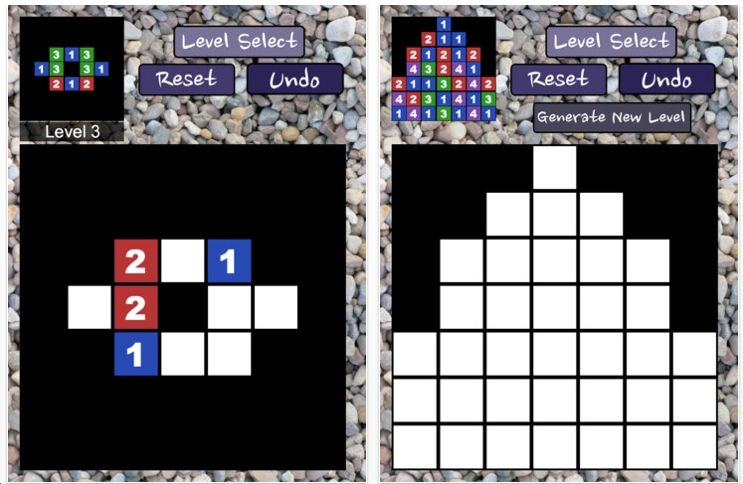 I found a better clone of this, called Array: Puzzler by Guerilla Tea Games. And yes, there is a hexagonal version. That having been said, there are a few small techniques that make these levels almost trivial; were it not for the "loop back to 1" mechanic, they would be completely trivial.